This is a letter from Mrs. Milton to The Berry Schools with a check enclosed, asking for three white fans. She also says she will be sending a letter later on because she soon will be changing addresses. 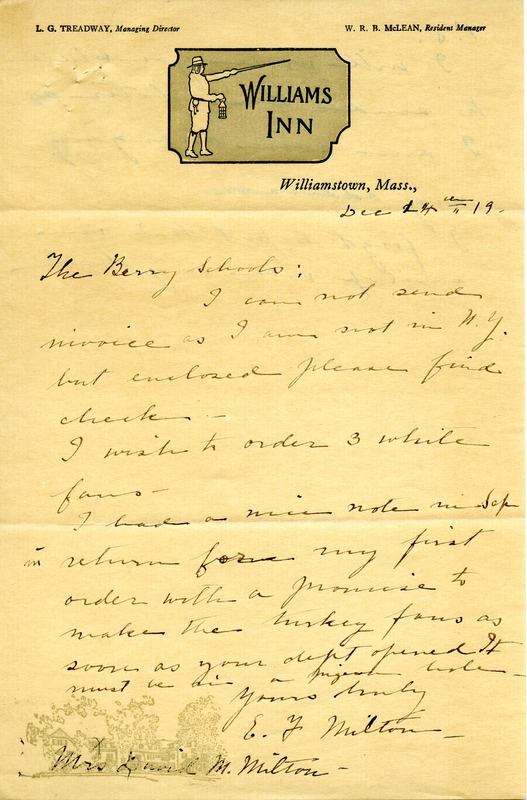 On letterhead from the Williams Inn. 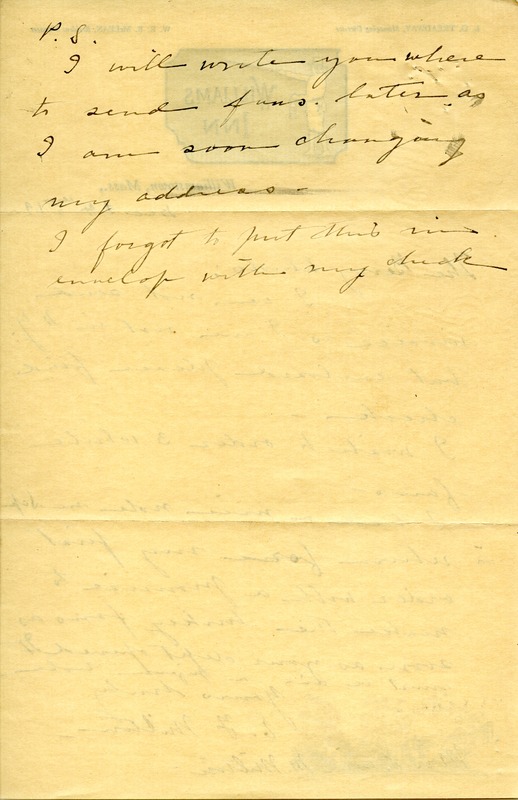 E. F. Milton, “Letter to the Berry Schools from Ellen Fink Milton.” Martha Berry Digital Archive. Eds. Schlitz, Stephanie A., Sherre Harrington, Amanda Mays, Christy Snider, Angela McCavera, Kelsey Wetherhold, Meg Ratliff, et al. Mount Berry: Berry College, 2013. accessed April 23, 2019, https://mbda.berry.edu/items/show/13433.